This week I conducted an interview with Chris Williams, the Founder of the UKAC (United Kingdom Airsoft Community). 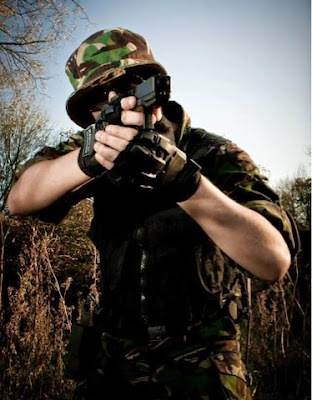 A community of Airsofters on Facebook.com, which I have been an active member of for about 2 months. My own experiences with this community have been very positive, members look out for their fellow airsofters and are more than willing to help - 3 members even helped me track down what appears to be the last of the illusive and rare pink TRMRs by Concept Tactical. The group is full of helpful topics, photographs and threads with a healthy amount of banter and the occasional 'battle of the memes' which is always good fun! So Chris, what is your airsofting background? - How long have you been playing? Where is your home site? What's your weapon of choice? I've been Airsofting for 10 years, I live in Bristol however I travel all over the place to play, my favorite site is the mall in reading. My weapon of choice, tricky one, only last week I bought a G&G CM16 raider, which I love, it's small, light, easy to Manoeuvre round corners and very accurate, very pleased with such a cheap gun. What is the history of UKAC? When was it set up and what is it's purpose? UKAC was set up around April 2013. So almost 2 years. Its purpose is to allow the Airsoft community to share knowledge, experience, trade, sell, buy and most of all talk to other players when you need advice. I came up with the idea when I wanted advice but couldn't find a suitable place or person to ask. Every other group or forum out there only allows a specific subject, where we allow everything. What was your vision for UKAC? My vision for the UKAC is to make it a well known brand players can trust, and use it to help support the sport and its businesses and sites. What are the best and worst things about the UKAC? The best is thing is its growth, we are now the biggest UK Airsoft group with over 4000 members. We get on average 50 new member requests a day and my team of admins work hard to ensure only actual Airsoft players are allowed to join. The worst has to be managing it, I couldn't do it alone, my team of 8 admins work throughout the day to monitor and control the group. How do you see the group progressing? I would like to see the name and brand move into sites and retail stores to help put trust and focus back into the support. Many players are now buying online or from China which takes its toll on the few walk in stores left around the UK. I don't want it to just be a facebook group I want it to be a well known brand. As you know the sport is dominated by men, do you have a female admin? And is there a strong female presence in the community? If not, do you plan on changing this? This is a challenge, the sport is mainly focused on men and its hard to aim it at females, I currently don't have a female admin on my team but that may change in the future. I think I need a woman's opinion to help us with this topic. What is your opinion of women playing airsoft? 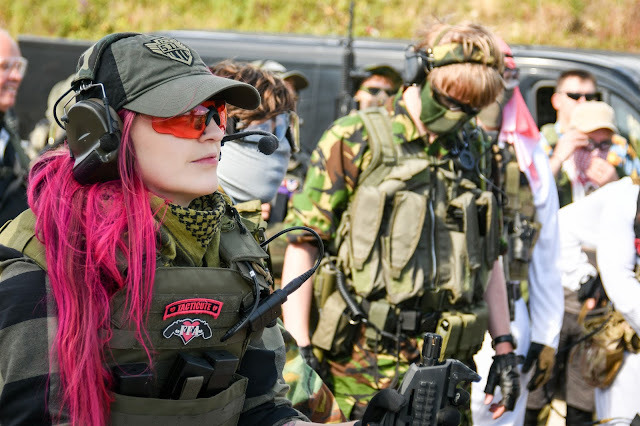 Women playing Airsoft is great, I haven't seen that many at games but it would be good to see more. Finally is there anything you want to say? 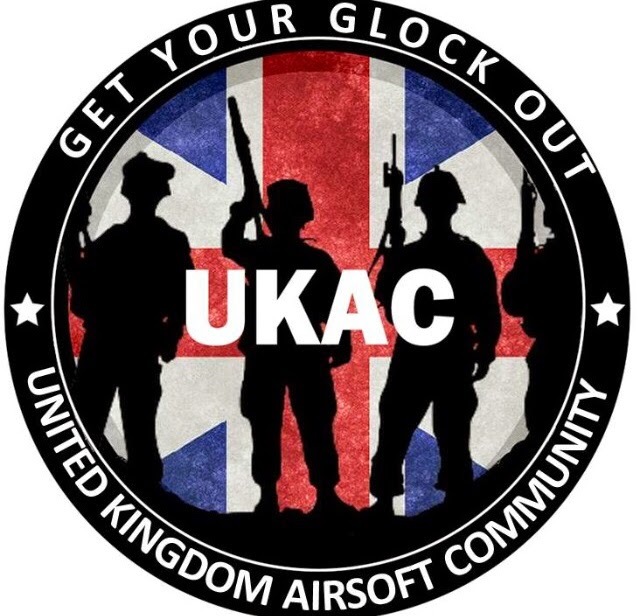 The UKAC is here to support any Airsoft player whether new or experienced, young or old, man or woman. As the sport is not advertised in the world new players only hear about Airsoft by word of mouth. I want to change this, I believe the sport is under utilised and could be so much more.